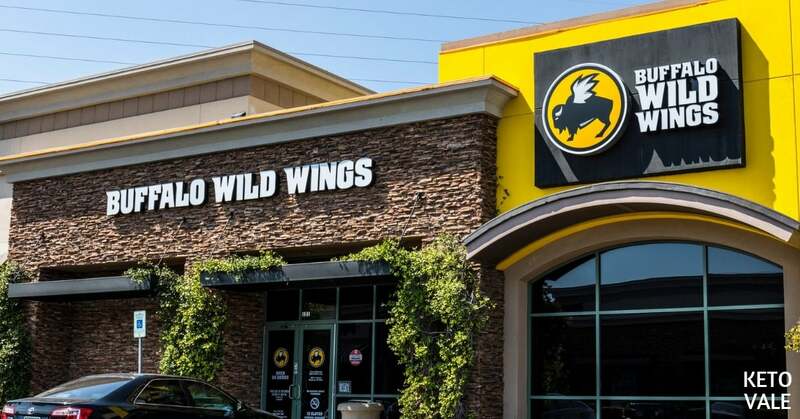 Buffalo Wild Wings (otherwise known as BW3 or B-dubs for short) is a popular casual restaurant and bar to visit when you want to watch the big game. It specializes in wings, tacos, sandwiches and other finger foods that you can munch on or share with friends and family while downing a beer and socializing. The healthy food options are limited at B-dubs, which is why you’ll want to go in prepared the next time you are invited and don’t want to ruin your low-carb diet. Of course, your best bet is to eat at home first and then meet up with family and friends later. 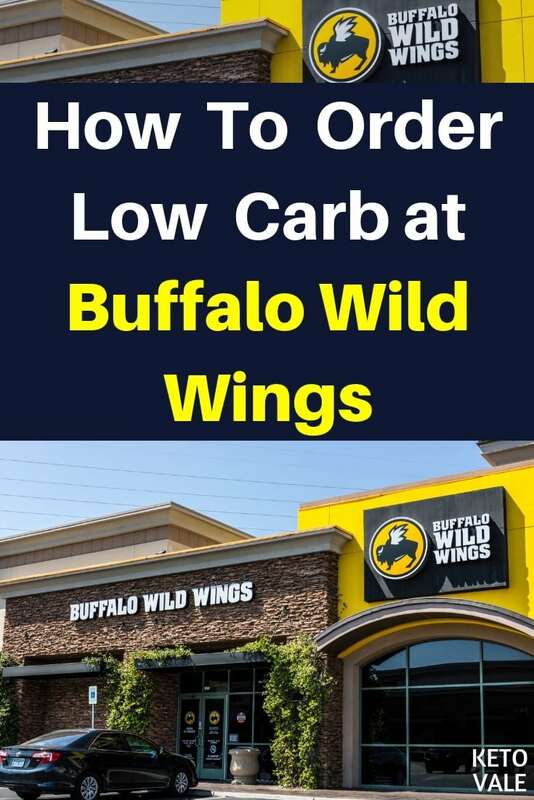 We’ve looked over every item on the menu and come up with a list of “safe” foods that you can eat if you need to keep it low-carb while eating at Buffalo Wild Wings. We never recommend eating out if you’re on a strict keto diet because there are too many hidden traps and opportunities to ruin your diet. It’s not always easy to stay in ketosis, and eating out exposes you to ingredients and foods that you might not otherwise have to worry about if you were to eat a keto-friendly meal at home. For this reason, you might want to eat first before heading to B-dubs. Chances are you’ll be invited here to watch a sporting event with friends. Or you might be traveling and it’s your only option for food. Either way, it helps to make sure you’re not starving when you go in so you’re not swept away by the fun atmosphere and tempted to order something you shouldn’t. We also like to remind readers that there is a difference between eating low-carb and being strictly keto. For example, low-carb dieters might be able to enjoy a small amount of French fries as a side dish that contains carrots, peas, or squash every now and then, but these foods are too starchy for keto dieters. The same rule applies to a fruit cup. You can order fruit in place of starchy breakfast sides like hash browns or toast if you’re on a low-carb diet, but most fruit cups contain grapes, melons, and pineapple or other fruits that are off limits on the keto diet. It’s important to know what your macronutrients are before you go into a restaurant so you can order accordingly. If you’re not sure about what foods are allowed on a ketogenic diet, then check out our article here for a complete list. If you must eat at B-dubs or feel socially obligated to meet up with friends or co-workers here, then use these tips to keep it low-carb. The first thing you’ll want to do when you visit B-dubs is to avoid ordering alcohol. This can be tricky as B-dubs is a big-time social bar and you might feel pressured to, especially if you go there after work for happy hour. When you first walk in the door, you’ll notice that everyone is drinking beer while sitting or standing and watching a sports game on one of the many massive TV’s that they have. They even have a special $5 menu for football game days. If you’re meeting up with friends at B-dubs, then have a game plan for avoiding alcohol, which is not allowed on the low-carb diet. Hold a glass of water in your hand instead of a beer and don’t feel embarrassed about explaining your diet when someone asks you why you’re not drinking. You can always check out our list of low-carb alcohol to enjoy if you’re not on a strict keto diet. In a land of chicken tenders, wings and other breaded, shareable dishes, ordering a burger is a good way to take control over what you eat. You can customize it to meet your low-carb needs and you won’t be required to share since it’s more of a personalized dish. Plus, no one will bug you to eat wings or other foods that you can’t have on a low-carb diet if you have a burger sitting in front of you. You can order it as a main dish with a side salad instead of fries. Just like other low carb fast food options, make sure to hold the bun and sauce or mayo that comes on the burger. One of the nice things about B-dubs is that they offer a nutrition guide on their website, which you can use to estimate your calorie intake when you eat here. You probably won’t get an accurate reading because you’ll need to customize your food to make it low-carb and the menu contains all generic numbers. For example, if you order a burger, then you can expect the nutritional value to include the burger, bun, lettuce, tomato, and pickles unless otherwise noted. However, they list the calorie amounts for all of their sauces, seasonings, dressings, and sides, so you can subtract that number from your total calorie intake if you ask to hold these items on your food. B-dubs definitely isn’t a place you go for breakfast. Most of their locations are open from 11 AM until 2 AM, so you’ll probably go here for lunch, happy hour, dinner, or an after-dinner gathering. We’ve gone over every item on the menu and placed it into one of two categories. The first list is a collection of safe low-carb foods that you can eat at B-dubs as well as how to order them. The second list contains foods that you should stay away from. The following is a list of foods that you should avoid while trying to eat low-carb at Buffalo Wild Wings. Buffalo Wild Wings is a great place to go to socialize with friends. But many gatherings encourage you to eat unhealthy fried foods and drink beer. You’ll want to make sure to eat something small before heading to B-dubs to make sure you aren’t starving when you get there. Avoid alcohol and any breaded shareable dishes, such as chicken tenders, wings, and cheese sticks. Instead, go with a bunless and sauceless burger and get a side salad with oil and vinegar dressing to go with it. You’ll want to stay away from the wings unless you can get them without sauce and grilled instead of breaded. B-dubs has a naked tenders dish that you can get without sauce and with a side salad in place of fries. Or you can just order a grilled chicken salad. Don’t feel socially obligated to eat something you shouldn’t if you go here for happy hour or to meet friends/coworkers. We always recommend that you eat all your meals at home if you’re on a strict keto-diet to avoid accidentally kicking yourself out of ketosis. If you’re looking for a strict keto plan, check these free meal plans with PDF download!